No matter where in the world you dive the best lens for underwater photography will make your experience last forever. It is hard to describe to someone who has never been diving before all the beauty and life below the ocean’s surface. That is why so many divers enjoy this sport with an underwater camera. Since so many colors are lost the deeper you go it is important to get the best setup you can to fully capture the beauty. In an effort to still focus on your dive it is important to bring a lens with enough zoom so you don’t have to disrupt your subject to get the perfect shot. The perfect dive lens will combine the perfect focal length, aperture, and of course be waterproof. A focal length refers to the amount of millimeters the lens is capable of. 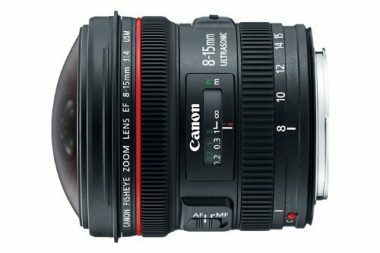 For example a standard lens is 18 mm – 55 mm. This means that the lens can zoom between 18 and 55 millimeters away from the actual image sensor. A higher millimeter rating means the lens is capable of a more zoomed photograph. Aperture is the amount of light the lens lets in. The range of aperture is usually between f/1.8 to f/22. A smaller number means that there will be more light let in for the sensor to detect. This creates a faded or blurred area around the subject a feature that can give you amazing, professional looking photos. Finally, a dive lens needs to be waterproof. This is done by a nano coating which seals the lens from the water. All of these features combine to give you the best dive lens. We have put together a guide to find the best lenses for underwater photography for your next dive. This lens is one of the best underwater macro photography lens available. With a 100 millimeter focal length you won’t have to crowd your subject. This ensures you can get the perfect shot without disturbing nature or get in the face of your family. The maximum aperture of 2.8 allows you to capture photos the way you want. When coupled with Canon’s highly developed image stabilization you will be able to capture excellent photographs even on an unstable boat. Most lenses create a shutter sound but Canon has worked tirelessly to be one of the leaders in silent Ultrasonic focusing while the nearly instant autofocus won’t let you down. Canon is famous for their build quality. This lens features the highest quality materials inside and out which will stand the test of time and the elements no matter if you are above or below the water. All of this coupled with this lenses ability to perform even in low light make this one of the best dive lenses, even for night dives. 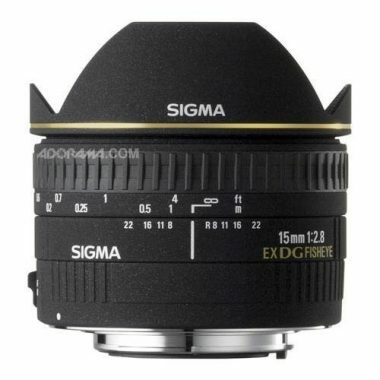 Sigma has been manufacturing camera lenses for over 55 years. Their dedication to the craft has helped them to develop lenses which help you to capture the unseen. The acute perspective given with this lens will allow you to capture pictures which you cannot see with the naked eye. The diagonal fisheye lens will capture distorted scenes in the full-frame of the camera’s view. The large aperture is also great for creating images which would usually suffer in low-light situations. A great camera for novices who want to take the next step in digital photography. This lens is great for getting up close and personal with your subject. You can get great macro shots with this lens, amazing portraits, and low-light pictures. The 60mm lens offers an angle of view similar to what you would get with a 96mm lens. The floating optical system also means that your magnification is crisp and in focus. This is a great lens for capturing the minute details in underwater life. 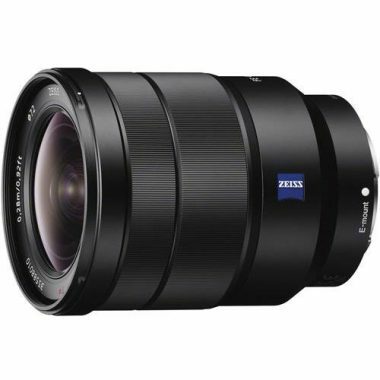 Sony makes great DSLR cameras and this extends to their lenses as well. This lens features image stabilization which creates perfect photos even when your hand isn’t perfectly steady. This is a common problem when scuba diving as the natural motion of the water can cause some blur to photos. A nano coated lens allows you to capture your shot without worry of a reflection or lens flare. The built in Direct Drive SSM features ensures you do not scare your subject away with loud focusing. Sony shows how much they trust their product by including a 12 month warranty. This is a lightweight setup that will have you shooting underwater as soon as you attach this lens to your camera. A specially designed 9 blade aperture gives you precisely the amount of light you require. This helps with color loss commonly found when diving below the surface. This 90 mm lens will have all your friends jealous and wondering how you captured that amazing shot. The three ED glass elements built into this camera suppress the chromatic distortion which is so often seen under the water. This means that the F4 aperture is maintained throughout any zoom. The built-in optical steady-shot technology also helps to stabilize any shot which you are taking under the water. Add in some dust and water-resistance, and you have a great lens for all occasions. 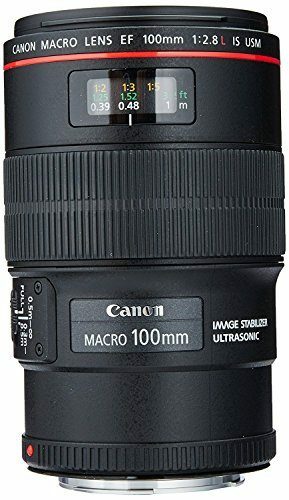 This is a great lens for anyone who wants crisp images. The stabilization will help you to get a steady shot no matter how choppy the water is. This lens can capture wide-angle shots with a fisheye lens, giving you some great underwater photos. We love the Fluorine coating which has been applied to this lens. The lens is soil, smear, and fingerprint-resistant. You get crisp and accurate photos with this lens without having to worry about the lens being soiled by dirt. This is a great multipurpose lens for those who want versatility in their shot without having to worry about anything getting in the way. The integrated coating on this lens will minimize flare and ghosting when you are taking photos under the water. The full-frame fisheye lens will let you capture photos up to an angle of 180 degrees. The Close-Range Correction also allows you to capture great images up close as well as at a distance. 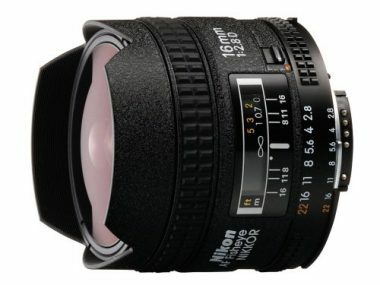 This is a great lens for amateur and professional photographers. You have a lot of versatility with this lens, and the lens is easy to use. 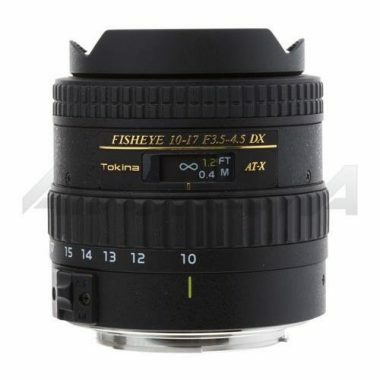 Tokina is a well known dive lens manufacturer and the lenses they produce are well known for being the top of their kind. 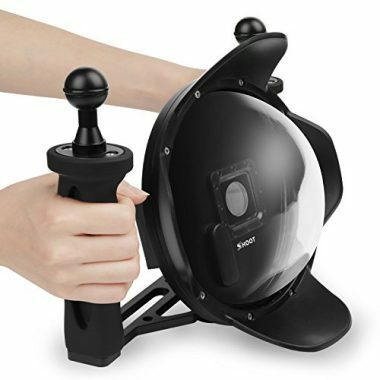 This Fisheye Zoom lens will effortlessly fit and attach to any Canon camera in seconds. Their specially designed coating has created a completely waterproof design meaning you can take this lens as far underwater as you can swim. Not only do Tokina make great products, they back them up. This lens comes with a 3 year warranty giving you peace of mind no matter where you take it. The focal range of this camera is 10 – 17 millimeters which allows you to capture the best macro pictures. 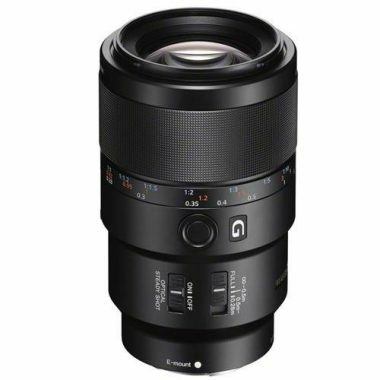 Tokina has taken the time to completely rethink this lens. They have designed a lens with fewer parts which lessens the weight while increasing the simplicity of the product, something that is bound to increase the lifespan of the lens. Do you have a GoPro that you want to take it to depths you never thought possible? The SHOOT 3.0 is what you are looking for. A great addition to your dive kit this small camera will give you the ability to go up to 30 meters (almost 100 feet) deep. This is a great device especially for video recording. You will have instantly better photos as this lens doesn’t allow water to sit tight against your lens which will ensure greater photo quality and also not allow your photos to turn out distorted. Instead of trying to keep the small camera stable and centered let the large two handed stabilizer give you ultimate control during your dive. This will help reduce the blur of both your photos and videos. This is one of the top underwater wide angle lens. 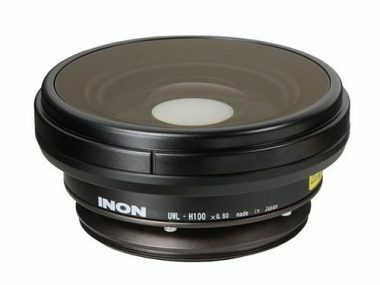 Inon has been making top notch lenses for years and this lens is no exception. Being able to attach this lens to any camera body gives it a leg up on it’s competition – just attach this little lens to whatever camera you have and you are ready to shoot in wide angle high resolution. Coming in at just over one pound it won’t even feel like you have a lens attached to your camera. The 67 millimeter focal length gives you the ability to get up close and personal with your subject without them knowing it. A 100 degree angle of view allows you to capture wide angled shots closer to what the eye actually sees. This increases to nearly 180 degrees if you are above the water which alters the perspective of ordinary photo shoots. When you buy a compact camera, the lens is built into the camera. Compact cameras are one of your cheapest options, but the lack of versatility is a drawback. You do have some options with wet lenses, though. Wet lenses can be added on top of the built-in lens of the camera. One advantage of this is that you can swap lenses when you are under the water to get a variety of shots. These camera types are used by most professionals. They are more expensive than a compact camera, but they offer more flexibility and better pictures. With these cameras, you can switch out lenses. You are able to get more professional looking photographs with DSLR and mirrorless lenses. Before you go ahead and choose your lens, you shock know a little about where you are going to take your photos and what type of photography you are going to undertake. Assembling your photography gear is as important as assembling your scuba gear. Two of the most common lenses which are used are the wide angle and the metro. These will allow you to take great photos in most situations. 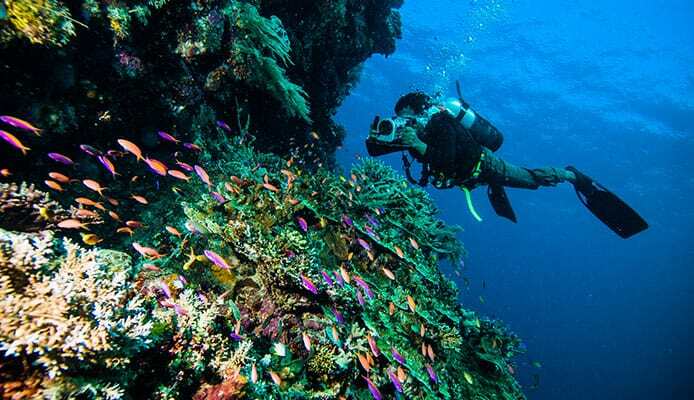 A wide-angle lens allows you to capture a lot of what you can see underwater. The lens gives you a wide angle of shot, allowing you to capture a large school of fish or a coral reef. A wide angle lens is great for shooting seascapes. Macros lenses are more focused on the detail of your shot. Where a wide angle lens will allow you to capture a lot in your shot, a macro lens will focus in on the details. They are great for capturing the detail of a fish and smaller creatures. Having both lenses at your disposal will allow you to go big or go small. Most lenses are rectangular. This means that any straight lines in real life are captured as straight lines in the photo. A fisheye lens is a type of wide angle lens. When you are underwater, it is beneficial to be able to see your subject up close while getting in the background too. A fisheye lens will capture all of that, while giving a curved perspective, just like the eye of a fish. The closer you get, the richer the color will be. Macro lenses are rectangular, but they are specially designed to get up close to your subject. They have a long barrel which allows you to get close to whatever you are capturing. The focal length of a lens is expressed in millimeters. A smaller focal length means that you can see better at short distances. If you want to capture things which are close to you, as you would do with a macro lens, then you will need a short focal length. If you want something which will help you to capture images at a distance, then go for a longer focal length, as you would find in a wide angle lens. Small focal lengths are ideal for capturing a lot in your photo. If you have fellow divers who are swimming in the distance, and there is a school of fish swimming in between, then a small focal length is perfect. If you want more of a portrait style of photo, then a medium focal length is what you want. If you want to get in close, to take a photo of a shrimp perhaps, then you will want a long focal length. Q: Why Do I Need A Special Underwater Lens? A: Many cameras can focus closely on an image, so why do I even need a lens? Well, one answer to that question involves a similar answer as to why you would need lenses for shooting out of the water. Lenses will give you options for your photos. You can get good photos with your camera, but you will get better photos with additional lenses. A problem which many cameras face underwater is that the macro mode only works at the shortest focal length. This is counterintuitive to taking a good close up photo. Short focal lengths are great for wide angle shots. 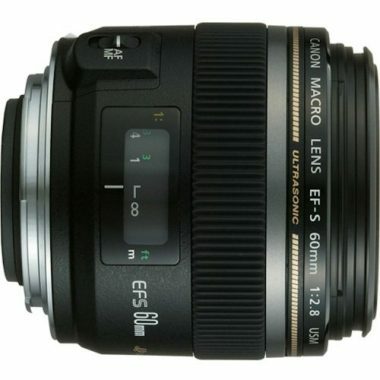 When you are taking a macro photo, you want a long focal length, and many cameras cannot do that with the inbuilt lens. This is where a good macro lens comes in. By adding lenses to your camera, you can get shots which are impossible with just your camera. 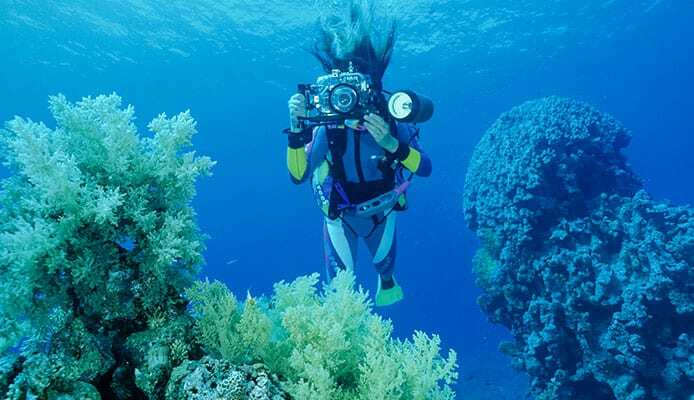 Q: How Do I Clean My Underwater Lens? A: After you have completed your underwater adventure, you should take the time to take care of your lens. Rinse the lens in warm water to remove any debris and salt. You want to dissolve the salt and remove it completely from your lens, or you run the risk of the lease becoming damaged. If there are any particles in the lens, then the lens can become damaged or blocked. Once you have washed your lens, you should pat it dry with a soft cloth. Do not use anything abrasive on the lens or you could damage it completely. After drying, makes sure to store the lens in a case or with some protective housing. Q: I Am An Amateur Photographer, Do I Need A Special Lens? A: Not at first, but you will want to add them over time. If you are just starting out with photography, then we would recommend taking photos with your camera to practice underwater photography. Once you become more adept at taking photos, then you can begin to think about lenses and strobes. It only takes one trip underwater to appreciate all the beauty and life below the sea. Once you begin your journey into underwater photography it is easy to become addicted. With vibrant full bodied photos this can quickly become a favorite hobby or even part of your career. 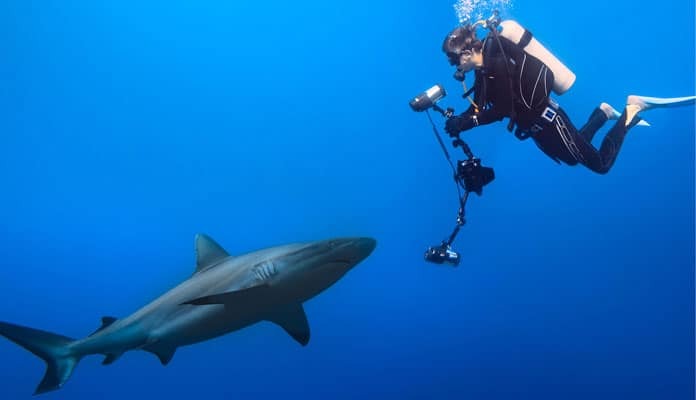 Many professionals prefer the use of a fisheye lens for underwater photography as it provides a wide view allowing more sights to be captured with every photo. 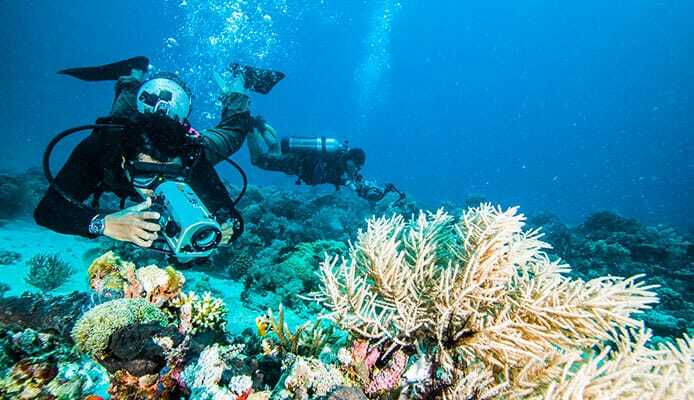 Regardless of your preference, when looking for your next lens be sure to read through the many underwater camera lens reviews before deciding on the best one for you. This will help to ensure that you get the best lens for your needs. Any of the five best lenses for underwater phootgraphy on our list are sure to leave you with excellent photos to be looked at for years to come. Did your lens make it on our top 5 list? Let us know how it works for all of your underwater photography needs in the comment section below.